The Spain star will stay at old trafford on Two conditions. United goalkeeper is ready to sign for Manchester United on two major conditions. David de Gea is locked in contract talks with Manchester United as he enters the final six months of his current deal. United are desperate to keep the Spain star, but he remains uncertain over whether to commit his future. The Daily Mail reports that De Gea wants two things before penning a new deal. The first condition is a huge pay hike. De Gea is said to want parity with Alexis Sanchez, who earns around £500,000 a year. Second condition is, De Gea wants assurances over the plans at the club and that they can match his ambitions to win the biggest trophies. De Gea has been at United since 2011 and has only won one Premier League title, one FA Cup, the EFL Cup, the Community Shield and the Europa League. And at 28 he wants to be challenging for the Champions League and the Premier League regularly. 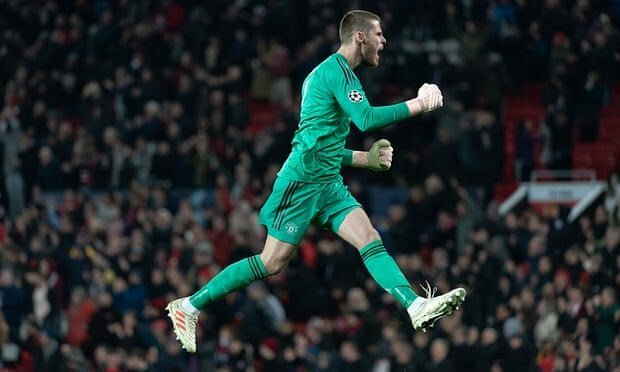 “We have the best goalkeeper in the world and I know he wants to stay,” said Mourinho after the Young Boys victory on Tuesday. DeGea’s deal runs out this summer but United have a 12-month option to trigger if nothing can be agreed before then. But he’s been linked with a move to Juventus and PSG after years of being linked with Real Madrid came to an end with the transfer of Thibaut Courtois. He was hurt by criticism in his homeland in the summer after a poor World Cup. De Gea is also growing fed up of the sloppy performances and will need signs from the club that they can go forward whether under Mourinho or someone else. De Gea has won the club’s player of the year award in four of the last four years and the players’ of the year three times. He made another stunning stop on Tuesday with the score still 0-0 before Marouane Fellaini scored the winner. However, they would rather sign him up to a longer deal on improved terms to show him their gratitude for years of good work. 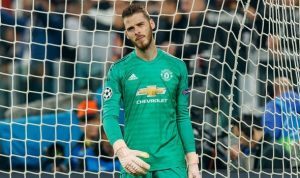 Revealed: What David de Gea said to his teammates after Barcelona mistake!